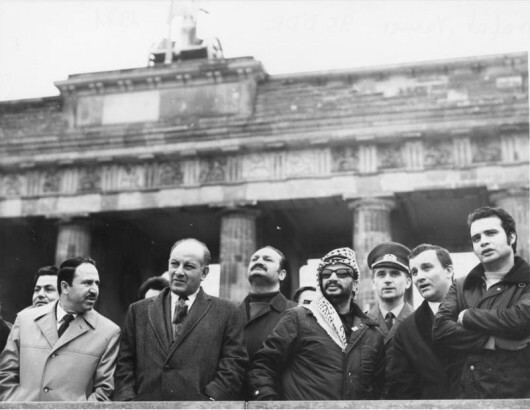 Yasser Arafat and PLO delegation at Brandenburg Gate in East Berlin, 2 November 1971. Klaus Franke / German Federal Archive. 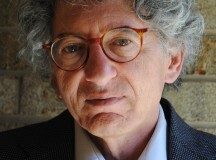 Jeffery Herf is Distinguished Professor of History at the University of Maryland. His books include Nazi Propaganda for the Arab World, The Jewish Enemy: Nazi Propaganda during World War II and the Holocaust, Divided Memory: the Nazi Past and the Two Germanys, and Reactionary Modernism: Technology, Culture, and Politics in Weimar and the Third Reich. He spoke to Fathom editor Alan Johnson about his new book Undeclared Wars with Israel: East Germany and the West German Far Left 1967-81. Alan Johnson: What have been the most important influences upon your work? Jeffrey Herf: The personal influences began in my family. My father was fortunate to be able to get out of Nazi Germany in 1937 and come to the United States so Nazi Germany and the Holocaust something I heard a lot about when I was young. My mother was a teacher in the Milwaukee public schools who cared a lot about issues of racial equality. My reform Jewish family with a deep appreciation for intellectual work and so since I was young I’ve thought of myself as a Jewish intellectual. Second, two historians left a deep impression long ago. George Mosse awakened my scholarly interest in modern German intellectual and political history. Reading Karl Bracher’s work on Nazi Germany was also key. Both took the causal impact of ideas more seriously than was fashionable in the historical profession at the time. For many years, as a historian, I have felt a particular responsibility to address ‘the Jewish question’ and anti-Semitism in the German questions. As a historian I am influenced by the norms of the historical profession to seek the truth about the past. Both of those facts have had a clear impact on what I have chosen to examine as a historian of Germany, in particular, ‘the Jewish question’ and anti-Semitism in the context of German history. Third, I was shaped by my engagement with the New Left in the US in the 1960s. I saw the left turn to dogmatism, even fanaticism, and that included a turn against Israel, at times with no small amount of anti-Semitic arguments. Seeing the impact of that ideological fanaticism left an enduring impression. Dismissing the role of ideas in politics has struck me as naïve. Mosse and Bracher understood that. I have written extensively about Nazi Germany and the anti-Semitism that fuelled the Holocaust. But when I saw the Communists and the radical left turn against Israel, I thought that too was of great historical significance For any German government to do what the East German government did towards Israel was one of the very most important, and in my view, most disgraceful, chapters of post-1945 European and German history. So it was this mix of the personal and the scholarly that led me to do the work I’ve done. My wife, Sonya Michel also cares very much about the Jewish questions. She is also a fine writer. I think my writing has gotten better over the years because of her. AJ: And why did you want to write this particular book? JH: I’ve been thinking about the topic of this particular book since 1978 when I was a graduate student in Frankfurt working on my dissertation at Brandeis University. I met – in my young leftist days – people on the left that were profoundly hostile towards Israel, and I found that very peculiar. I also met and learned from people in Frankfurt/Main who dissented from the anti-Zionist left. So, I began reading and writing about the peculiar anti-Israeli passion that emerged in both the international and West German left. That passion was global but it had added complexities and complexes in Germany after Nazism. I wanted to understand them. In 1990, after the unification of German, I worked in the archives of the former East German government and learned a great deal about the turn of the East German government against Israel in the 1950s. I have thought about this issue ever since, and became aware that although there were many German historians who were working on East Germany, there was no historian writing about East Germany’s hostility toward Israel. I really felt a responsibility to write this book. You asked about influences. One wonderful thing about being a historian is the invisible college one gathers in the course of a career. I wish my friends Fouad Ajami, Francois Furet and Robert Wistrich were alive today to see the book for they influenced my thinking about. I dedicated it to their memory. AJ: Why do you begin with the Stalinist anti-cosmopolitan purges of the 1940s and 1950s? JH: It is important to remember that for Britain, the United States and the Soviet Union the actual history of World War Two was an embarrassment in the years after the war. For the Communist Soviet Union, its war-time alliance with capitalist Britain and the United States was an enormous embarrassment. So Stalin and his ideologue Zhdanov did everything they could to diminish the role of the West, diminish the significance of anti-Semitism, and pretend that the Soviet Union won the war on its own. In the immediate post war years there was some Soviet support for Israel. However, with the outbreak of the Cold War, Israel was seen as part of the enemy Western camp. So now there was a geopolitical reason – winning the Cold War in the Middle East – for the Soviets to turn against Israel. And of course, there was also a long-standing left-wing tradition of associating the Jews with capitalism and imperialism and that’s resurfaced in Stalin’s mind and became very important in the anti-Cosmopolitan purges from 1949 to 1953. From that point on, you could not be a member of a communist party, or a member of communist government anywhere in the world really, and remain a supporter of the state of Israel. AJ: What are we talking about when we say ‘purges’? Arrests, explosions and executions – what actually happened? JH: One manifestation of this anti-Semitism was the Slánský trial in Prague that involved 14 members of the Communist Party – 11 of whom were Jewish, including Rudolf Slánský, the former general secretary of the Communist Party – who were executed after being accused of being part of an American-Israeli conspiracy to destroy the communist regimes in Eastern Europe. The Slánský trial should be understood in the context of Czechoslovakia’s decision to send large amounts of arms to the Israelis in 1947-48 during the first Arab-Israeli War. And those Czech officials sympathetic to Jews and to the Zionist project then found themselves excluded in 1952-53. There was the Doctor’s Plot in Moscow which was one of the most dramatic episodes of anti-Semitism in the SU under Stalin’s rule. Stalin was becoming paranoid and accused Jewish doctors of trying to poison him. AJ: The book includes a very detailed discussion of the forms taken by the GDRs undeclared war with Israel, which I am sure, will be news to many readers. What forms did it take under Walter Ulbricht and Erich Honecker? JH: I made the conscious decision in the book not to use the abbreviation ‘GDR’, as in German Democratic Republic. Instead, I refer to it as ‘East Germany’. While the East German government was certainly German, it was neither democratic nor a Republic. I think that the continuous repetition of ‘GDR’ is the repetition of a falsehood, so I made the stylistic decision when writing the book to change it. I hope other historians will consider referring now to ‘East Germany’ and less and less to the ‘German Democratic Republic’. JH: This undeclared war was not a matter of ‘criticism of Israel’ – a legitimate right of every government in the world. Rather, it was a spectrum of antagonism that included: provision of guns, bullets, rocket-propelled grenades, landmines, anti-tank weapons, rockets; political warfare and intelligence cooperation; formal political and military alliances between the upper echelons of the East German, Iraqi and Egyptian governments, state to state relations that involved the transfer of jet planes, tanks and heavy artillery; and agreements to provide the Palestinian Liberation Organisation (PLO) and smaller Palestinian guerrilla fractions with arms to be fired at Israel and/or Israeli citizens. One of my hopes for the book is that it will encourage other historians to reanalyse the entire history of the relationship between the Soviet bloc and the Arab states. That work remains to be done. AJ: What do you mean by the term political warfare? JH: It’s a term that the British foreign office used in World War Two. Political warfare entails the specific use of propaganda to reinforce an ongoing armed attack. For example, East Germany and the Soviet Union were able to use the United Nations effectively to legitimatise their undeclared war on Israel, through dozens of UN General Assembly resolutions in the 1970s and 1980s in which East Germany played an important role. Political warfare persists to this day in the Boycott, Disinvestment and Sanctions (BDS) movement: never ever mention a terrorist attack on Israel, or, if there is an attack on Israeli citizens, refer to it as a form of ‘justified resistance’. Then, having refused to describe accurately the terrorist attack on Israel, focus instead on Israeli retaliation. And, because you have not discussed the previous terrorist attack, describe this Israeli retaliation as a form of ‘unjustified aggression’. All these rules were set down in this earlier period. AJ: One fascinating part of the book examines how UN leaders, such as General Secretary Kurt Waldheim, ignored detailed reports from Israeli representatives about this political warfare campaign and about the Arab states’ armed attacks against Israel. Can you tell us about that? JH: One of my great research discoveries was the extent of the UN’s bias, its unbalanced views and its indifference to attacks on Israel. The UN permits its members to send reports to the Secretary General and the President of the Security Council, which are then circulated to all members of the UN. Gideon Rafiah, Chaim Herzog, Yosef Tekoah and Yehuda Blum, all Israeli ambassadors to the UN during the 1960s and 1970s, made excellent use of this system by sending reports with details descriptions of the ongoing attacks on Israeli civilians to all member representatives to the UN. They are the most detailed record that we have, perhaps anywhere outside the Israeli archives, about the ongoing terrorist campaign that was being raged against Israel in those years. Yet the information in these reports was overwhelmingly ignored in the UN resolutions that were passed. AJ: What was the response of the West to this undeclared war on Israel? JH: The centrality of the US alliance to Israel’s security became obvious in the years following the Six-Day War and particularly during the Yom Kippur War in 1973. (Ironically, critically important American military assistance to Israel in 1973 came from US President Richard Nixon, who had minimal support among American Jews.) Over the course of Israel’s short history, when push came to shove, in the event of war and peace, Israel has had one ally with the will and ability to come to its defence – the US. At the UN , US Ambassadors Daniel Patrick Moynihan and Jeanne Kirkpatrick fought off waves of attacks on Zionism, vetoing many UN resolutions. But any hopes of Europe joining these US efforts were suppressed after the Oil Crisis, when the Europeans came under increasing pressure from the Arab states. AJ: Having touched upon the what, I would like to now focus on the why. Why did East Germany wage this war against Israel? Was it a hangover of attitudes from the Nazi period? Was it about antisemitism? Was it more to do with developments in left-wing thought at the time? Or was it cynical geopolitics to keep the Arab states on side? JH: The book is about the leadership of the East German government. I don’t know how ordinary people who were living in East Germany thought about Jews and Israel. The book is not about the aftereffects of Nazi Germany in the population of the 17 million or so people living in East Germany. Of course, for many of them, it would defy common sense to assume there was no after effect of Nazi propaganda. But the communists took the position that they did because they were communists. They were not Nazis. And I think this is important. The problem of the communists is not that they were like Nazis. It is that they were communists. And it was as communists that they rejected Zionism. To them, Zionism was an anachronism, a form of reactionary nationalism. Anti-Imperialist nationalism was fine but not Zionist nationalism. So East Germany’s war against Israel was a matter of ideological conviction; they genuinely despised Zionism. But it was also a matter of power politics and strategic calculation – the two reinforced each other. The communists rejected Zionism as a form of nationalism and as a competitor to Marxism in some working class constituencies in Europe. And after the anti-Cosmopolitan purges of the 1950s, the decent, pro-Zionist left, vanished in the Communist world. East Germany’s other reason to oppose Israel was to do with Cold War competition with West Germany, which was busy trying to isolate the East German government diplomatically. Bonn defined East Germany as illegitimate and threatened to cut off diplomatic and economic ties with all East Germany’s allies. This was called the Hallstein Doctrine. The primary goal of East German foreign policy was to counteract the Hallstein doctrine by establishing diplomatic and political relations with other countries outside the Soviet bloc. And how was this to be done? Otto Winzer, East Germany’s foreign minister in the 1960s, made the argument that the key to breaking the Hallstein Doctrine was to play the anti-Zionist card by siding with the anti-Zionist Arab states – and the Palestinians. The fruits of Winzer’s plan were seen in 1959 when Iraq, Syria, Egypt, Yemen and Libya all signed agreements to start diplomatic relations with East Germany, and each denounced Zionism. The reinforcing interaction of those two components – power politics and ideology – accounts for the passion with which East Germany went along with Soviet policy against Israel. AJ: Today we find that ‘Holocaust Inversion’ – treating Zionism as the new Nazism, Israelis as the new Nazis, and so on – is spreading. Do its roots lie in this period? JH: Two Israeli historians, Meir Litvak and Esther Webman, wrote a book called From Empathy to Denial: Arab Responses to the Holocaust in which they point out that the idea of Israelis as the new Nazis has been a theme in Arab politics since the late 1940s and early 1950s. In this sense, the Stalinists took an idea that originated in the Middle East and spread it throughout all the communist movements in world politics. The Israeli-as-Nazi theme was enormously important because – and I made this point in Fathom about Ken Livingstone – what the communists accomplished by accusing the Israelis of being Nazis was to take the language of anti-fascism, ironically, and turn it against the Jews and against Israel. Of course, the Nazis despised Zionism and it is completely ridiculous to say the Nazis were in favour of Zionism. Anti-Zionism was a part of Nazi propaganda and Nazi policy. This Nazi analogy broke into world politics in a very big way at the start of the Six-Day War in 1967 when the Soviet ambassador to the UN compared Israel’s air attack to the Nazi invasion of the Soviet Union in June 1941. The Soviet ambassador was associating the Soviet Union as a victim of Nazi Germany with the third world as the victim of British colonialism, manifested in the form of Zionism. This placement of the language of anti-fascism – which has enormous moral prestige around the world and in the British left and in the left of Western Europe and all over the world – into the discourse of the assault on Israel, was devastating. It was one of the greatest accomplishments of communist political warfare at the time, and it endures to this day in a variety of forms. In Germany, of course, there was the added component of the Holocaust. Dieter Kunzelmann was a West German leftist who wrote an essay in 1969 about the need for the West German left to overcome what he called ‘the Jewish complex’. ‘The Jewish complex’, he wrote, stood in the way of making the revolution in West Germany because it burdened the left with so much guilt about the Holocaust that they were unable to make a revolution. To view Israelis as the new Nazis and the PLO as the new revolutionary brothers and victims of fascism, would unlock the path to revolution in West Germany. Kunzelmann’s essay was called ‘Shalom and Napalm’ and it was an important break with the West German government tradition of coming to terms with the Nazi past and remembering the Holocaust. AJ: The use of the Nazi analogy is actually growing today in the UK. JH: Well, I noticed in my research into this period that there are really no new ideas in the BDS movement. I read a review in the Times Literary Supplement a couple of months ago about the ‘new discourse’ of BDS. Actually, what’s really happened is the academicisation of an older discourse – the political warfare discourse of the Communists, the PLO and the Popular Front for the Liberation of Palestine (PFLP), and the UN anti-Israel resolutions of the 1970s. All that has now entered into universities. AJ: You claim that East Germany pioneered a ‘Eurocentric definition of counterterrorism.’ What did that definition entail and how did it shape the UN’s attitude towards terrorism aimed at Israel? JH: This is one the most interesting aspects of the book and it made me understand how complicated the world of intelligence is. The Stasi, East Germany’s state intelligence service, had a serious problem. On the one hand, East Germany was the transit for young PLO members seeking military training and hoping to attack Jewish institutions in West Germany or Western Europe. East Germany had a reputation in the Middle East for being a supporter of the PLO and the Arab states in their wars with Israel. Young men, mostly, came from Beirut and Damascus and Cairo to the Soviet Bloc and to East Germany and received military training or university fellowships or they learnt German, or whatever. And then, they wanted to go to West Germany or West Berlin or Western Europe and attack the imperialists that were supporting Israel. Or they wanted to attack the Jewish institutions in West Germany. On the other hand, the Stasi knew that if anybody travelled from East Berlin to West Berlin and committed a terrorist act, condemnation would inevitably and swiftly be placed at the doorstep of the East German government by the West’s security services. The Stasi understood that if this happened it was going to put détente at risk as well as the millions of deutschmarks that were coming to East Germany from West Germany. AJ: Was there opposition to the undeclared against Israel within East Germany itself? JH: Within the Communist party after 1953, no. The last leading opponent of the East German communist party to oppose the undeclared war against Israel was Paul Merker. A non-Jewish member of the Communist Party politburo, Merker’s crime was to make the rational case that the communists – because they had fought against fascism and anti-Semitism in Europe – should be close allies with the new Jewish State, help fight anti-Semitism and the Arab governments who were attempting to destroy the Jewish state. Merker made these arguments in 1946 to the UN, as did Andrey Gromyko, the Soviet ambassador of the UN. But with the beginning of the Cold War all of this became politically incorrect in the literal sense. Merker was an independent-minded communist, foolish enough to have put his brilliant views in print and therefore he could not deny it. Although Merker was one of the lucky victims of the anti-cosmopolitan purges not to be executed, his political career was effectively over. Most of the other people associated with support for Israel in the Communist Party left East Germany and went either to West Germany or other parts of the world. This was the moment when pro-Zionism ceased within the East German Communist Party. AJ: Germans have tried to expose many of the crimes of East Germany to the light. Has research into the undeclared war on Germany been part of that effort? JH: Anetta Kahane is the director of the Amadeu Antonio Stiftung foundation in Berlin. She grew up in a communist Jewish family in East Germany and has been a remarkable figure in fighting against racism against Muslims, Africans and people of colour, as well as against anti-Semitism. And the Amadeu Antonio Stiftung foundation has quite an important role in addressing anti-Semitism and anti-Zionism in East Germany. But I do feel a little bit like Robert Paxton must have felt in 1971 when he wrote Vichy France before the French historians had written much about the Vichy’s collaboration with the Nazis. My generation of German historians include many superb historians who have written very important works, certainly about the Nazis, and many of them have written important works about the East Germans as well. But as far as I know, they have not written about this aspect of East German policy. AJ: Let’s turn to other focus of the book which is the role of the West German far-left in the undeclared war on Israel. Tell us about these leftists? JH: They came from the Baader-Meinhof Group and Revolutionary Cells, who worked closely with the PFLP. Both groups emerged from what is termed ‘the 1960’s New Left’. In the 1970s, terrorism originating on the fringe of this left was unprecedented in terms of the number of attacks and the level of sophistication. One of the most stunning events of this period was the hijacking of an Air France flight to Entebbe in Uganda. The people who hijacked the flight were members of the PFLP and two members of the Frankfurt far-left, Wilfried Böse and Brigitte Kuhlmann. Joschka Fischer, the German foreign minister in the 1990s, knew Wilfried Böse and Kuhlman very well. At Entebbe these two pointed their machine guns at the hostages, and separated the Jews and the Israelis from the non-Jews and non-Israelis – who were released. And Entebbe was an operation conducted with the collaboration and cooperation of Idi Amin, the then-president of Uganda. Amin was infamous for celebrating Hitler in the aftermath of the Munich attacks at the 1972 Olympics – he also celebrated the Holocaust. At Entebbe, two young West German leftists who opposed fascism and Nazism at home, collaborating with a man for whom Hitler was a hero. It’s an astonishing story. I think Entebbe was one of the key moments when the distinction between anti-Semitism and anti-Zionism vanished. 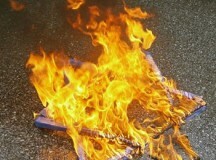 This was an anti-Semitic act. There was not criticism of Israeli policy, just guns being pointed at Jews and threats to kill those Jews. We spend too much time debating what is and is not anti-Semitism. AJ: One of the most interesting things in the book is how you reconstruct – from a multitude of archives – the experiences and the views of the Jewish people who were the targets of this undeclared war. JH: I decided to recreate their experiences because I felt it was an important part of the history. I was influenced by how Saul Friedländer had reconstructed the Holocaust. I wanted the Jews to be heard. Sometimes we don’t pay attention to what those targeted by antisemitism have to say. 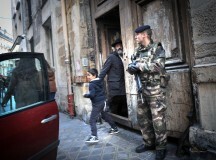 For example, Heinz Galinski and his colleagues at the Central Council of Jews in Germany were receiving death threats whilst ensuring that the children in the kindergartens and day-care centres were safe from attack. When you’re in a situation where you have to protect the lives of the children, then the intellectually-fine distinction between anti-Zionism and anti-Semitism become completely absurd. I wanted to bring that experience out into the open. Heinz Galinski and his colleagues were very concerned about the turn of the New Left against Israel on university campuses. They regarded themselves as centre-left and were looking in horror at far-leftists committed to attacking Israel. They tried to understand why leftists in West Germany, trying to come to terms with Germany’s past, had taken this turn. Fortunately, they left behind many articles and essays which I drew on in the book. AJ: You record ‘the intensity, voluntarism and passion’ with which these young far-Left Germans turned against Israel, and ‘aligned with its enemies’. How did you explain this passion? JH: What amazed me most when reading the East German documents and the far-left West German documents was the absence of reservations, anguish, or doubt, and the sense of absolute moral uprightness of the far-left political leaders. I concluded that the whole undeclared war on Israel was a way for the political leaders to escape from the burdens of German history. The far-left leaders adopted the attitude, ‘We are Germans, but that’s not the Germany we have anything to answer for.’ They substituted an anti-imperialist, anti-Zionist future for their anti-Semitic past. That sense of liberation from their Nazi past was very important to them, psychologically and emotionally. François Furet warned us in his seminal book The Passing of an Illusion: The Idea of Communism in the Twentieth Century (1999) that though Communism had indeed collapsed, ‘it was not so long ago’. We forget how recently it was that many millions of people believed deeply in international communism and global revolution to destroy capitalism and imperialism. Once you had that conviction – that all the evil in the world came from capitalism and imperialism and that Israel was part of that evil – then you deemed it necessary to justify terrorism to bring about a better world. AJ: Right now, there is taking place a painful debate in the British Labour Party about the line between criticising Israel and something much darker. I think your book will make a huge contribution to helping the Party to see where that line is. As you put it, ‘the idea that seeking the destruction of the Jewish state has nothing to do with the Jews is one of the central leftist delusions of this era.’ Thanks for speaking with Fathom readers today, Jeff. A fascinating interview, a brilliant scholar, an important book! As a German speaking contributor, I want to thank Jeffrey Herf for his book and the insights he gave us. I have to add nevertheless that despite anti-Zionsim and anti-Semitic resentment in the German left is still a problem the majority of the German left is pro-Israel and does acknowledge the danger of anti-Semitism far more seriously than the British or French left. Inside Eastern Germany it is true that during the reign of the Socialist Party pro Zionist voices were practically non-existent, but it is nevertheless interesting to look at the work of the writer Jurek Becker. Becker was a Holcaust survivor, and was liberated as a child in a concentration camp. Living after 1977 in Western Germany he was well aware of the anti-Semitism in Eastern Germany and wrote extensively about Jewish life after the Holocaust. In one of his novels, “Bronsteins children”, he writes about a man who recognizes on the streets of East Berlin a man who was guard in a concentration camp he has been interned during the war, abducts him with two friends and tries to pressure a confession. One can find a lot of material to document the awareness.